Doctors treating Sharon say his life is in danger and his vital organs are suffering from critical malfunction. 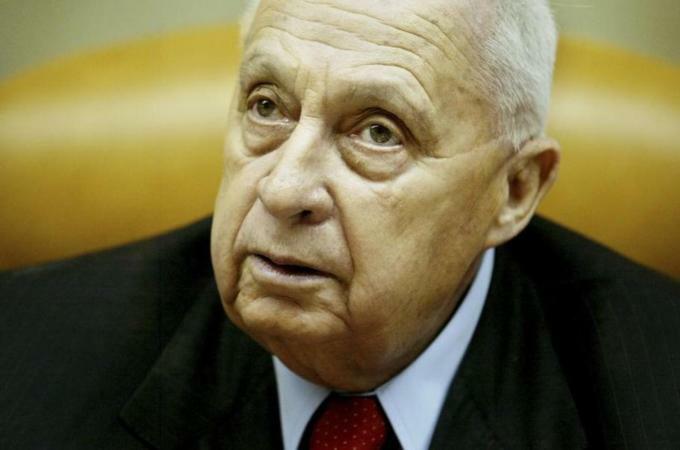 Preparations have begun for the state funeral of the critically ill former Israeli prime minister Ariel Sharon, officials have said. Dr Zeev Rotstein, director of Tel Hashomer hospital in Tel Aviv, said on Thursday that Sharon's health had deteriorated during the past two days and vital organs were suffering from a critical malfunction. Sharon had made clear that he preferred to be buried at his Negev home, Sycamore Ranch, next to his late wife, Lily, and not in the traditional grave-site for former prime ministers on Mount Herzl in the capital, according to The Jerusalem Post. The newspaper reported on Friday that the Prime Minister’s office would handle arrangements for a funeral together with Sharon’s sons, Gilad and Omri, who were at their father's hospital bedside. Rotstein said earlier that his family and doctors treating him believed that the 85-year-old had taken a turn for the worse. "He is in a critical condition and his life is definitely in danger," Rotstein said. It was the first official medical statement on Sharon's health after reports on Wednesday said he had suffered a kidney malfunction. Sharon had a stroke on January 4, 2006, slipping into a coma from which he had never recovered. The arrangements required for a state funeral would enable the suspension of the Jewish religious edict requiring the dead to be buried within a day, said Mark Regev, spokesman for Benjamin Netanyahu, the current Israeli premier, according to Britain's Telegraph newspaper. The delay would allow world leaders more time to attend the funeral of the controversial former prime minister, who had championed Jewish settlement on land taken in the 1967 Middle East war but later reversed his hardline stance to oversee the Israeli pull-out from Gaza. The Post said it was unclear whether many world leaders and foreign ministers would come to the funeral, as they had to the recent funerals of former Nelson Mandela, the former president of South Africa, and former British prime minister Margaret Thatcher. Israeli Prime Minister Benjamin Netanyahu caused controversy when he did not attend Mandela's funeral.